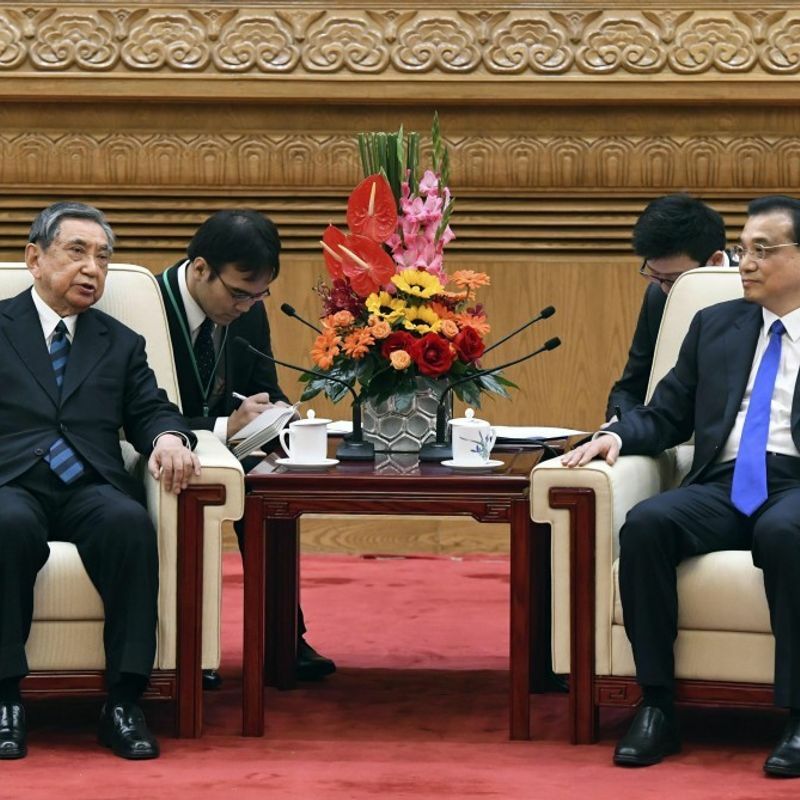 BEIJING - Chinese Premier Li Keqiang said Monday that improvement in ties with Japan has recently shown signs of gaining momentum, during a meeting with a business delegation from Tokyo led by a former longtime lawmaker. 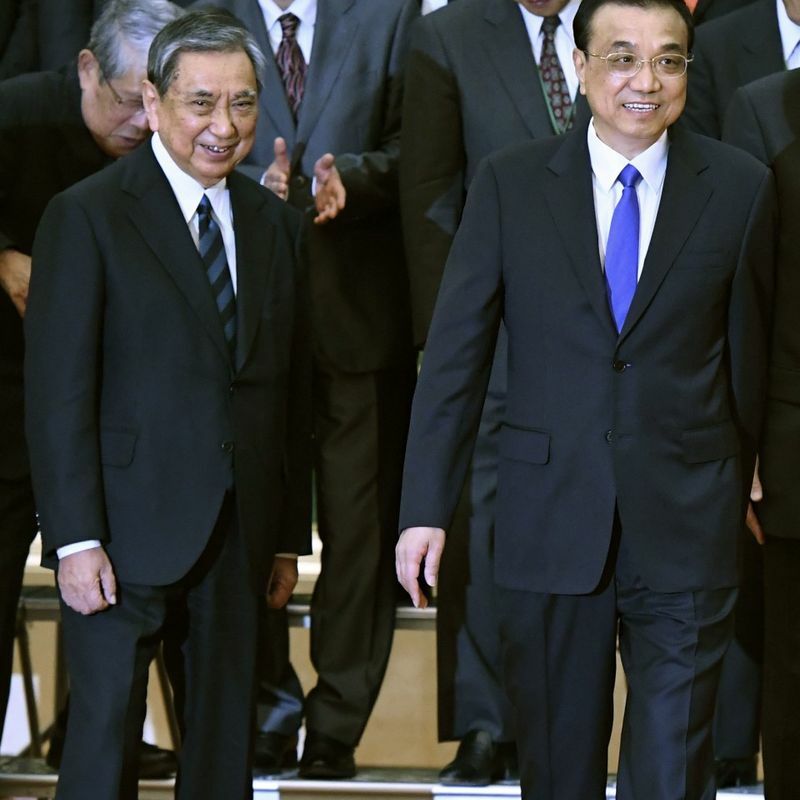 "We will cherish the momentum and bring (China-Japan relations) back to a right track," Li said, noting that this year marks the 40th anniversary of the signing of a friendship treaty between the two countries. The Japanese delegation is headed by Yohei Kono, who served as lower house speaker from 2003 to 2009 and in many other key posts, including chief cabinet secretary and foreign minister, during his long career as a member of the Liberal Democratic Party. Li also told the delegation that Beijing has been supporting the maintenance of the multinational trade system and it will make efforts to promote free trade and investment, according to China's official media. China will welcome investment from other countries such as Japan, Li was quoted by the state-run media as saying, at a time when trade tensions between the Asian power and the United States have been escalating. The delegation told Li that it hopes that the premier will visit Japan next month for a trilateral summit with Prime Minister Shinzo Abe and South Korean President Moon Jae In, expected to take place in Tokyo on May 9, the media reported. In recent years, Sino-Japanese relations have been mired in a territorial row over the Senkaku Islands, called Diaoyu in China, which escalated after the Japanese government effectively put them under state control in September 2012. But relations appear to be improving as Chinese President Xi Jinping has bolstered his domestic power base since late last year through key political events at home. An increasing number of policymakers and scholars from China and Japan believe that political stability in China would create a better environment to promote practical cooperation. 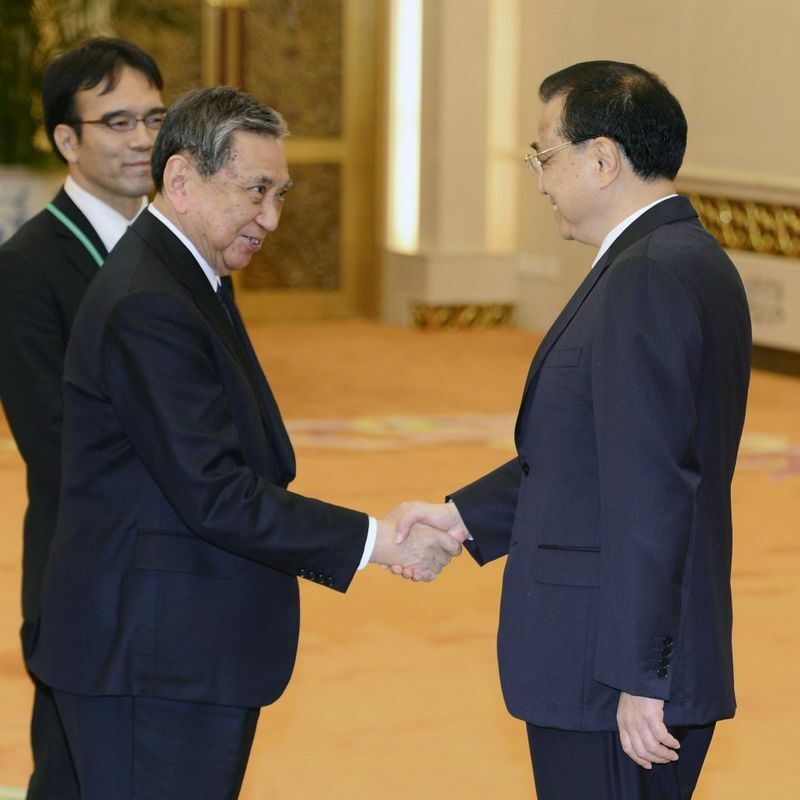 In January, Japanese Foreign Minister Taro Kono, Yohei's son, met with his Chinese counterpart Wang Yi in Beijing and agreed to resume reciprocal visits by the two countries' leaders. After taking part in the trilateral summit, Li, who was reappointed to a second five-year term as China's head of government last month, plans to visit Hokkaido to join a conference that local political leaders are to participate in, diplomatic sources said. Li may also deliver a speech at an event in Tokyo to celebrate the anniversary of the signing in 1978 of the Treaty of Peace and Friendship between the two nations, the sources added.